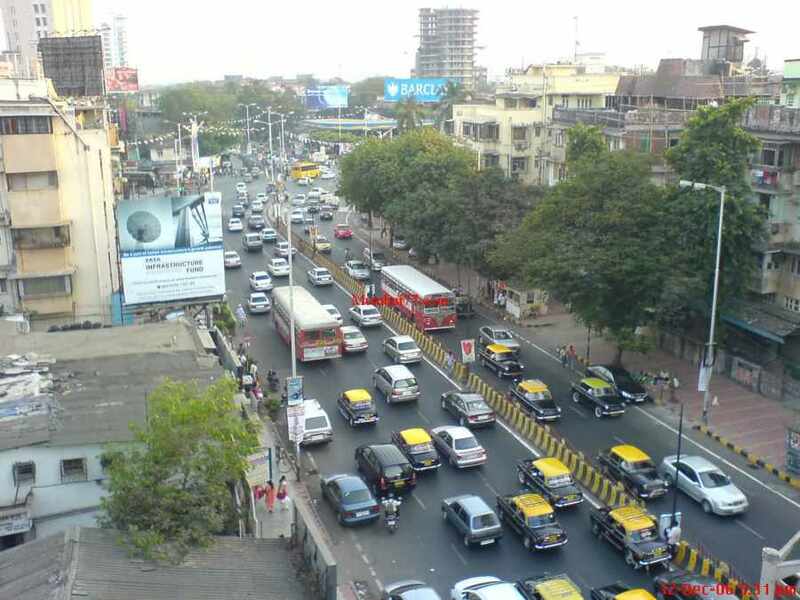 To begin with, lets understand what are the travel options in Mumbai. Also to get a brief idea on what will the cheapest options in all, below listed are all the ways you can go and travel to any place within Mumbai, Thane and Navi Mumbai boundaries. Also know that Thane and Navi Mumbai are neighbouring cities and have different travel charges. Also note that Night Charges for all taxi’s are bit higher compared to day. Night timings starts at mid-night 00:00 AM till early morning 5:00 AM. 50% Extra is what these regular taxi’s charges in this time range. Also to note before you start your journey that the waiting charges are are Rs. 1.50 for every minute which goes to Rs.90 extra for an hour. Also keep a note that the minimum fare rates as detailed below changes frequently sometime within a year, So recommend to visit individual travel options and their revised fares articles right here in this blog. Starting 1st July BEST buses dropped commuting rates by / up to 50 percent for AC and NON AC buses. You might have already got an idea of 5 Major travel options available inside Mumbai city which are Local Trains, Metro Trains, BEST Buses, Auto and Taxis. Mono Rails also available at very limited location range so not covering same here. On Road BEST Buses are the cheapest and most frequently used by majority of daily commuters. There are citizens who travel regularly by Auto and Taxi, major those who get the travel charges reimbursed by company they work with. Among all is the most crowded yet reliable and most important time saving commuting option which is Mumbai local trains, They runs on 3 major routes covering entire city which are Western, Central and Harbour Routes. Metro Trains has already relaxed the daily commuters between Andheri / Versova and Ghatkopar, and the Commercial locations like Seepz and MIDC between. As of day more Metro projects are lined up to give easy, better and a cheaper commute options to citizens. Below is most to least crowded Travel Options of city, Lets dig in deeper to understand them all individually. Mumbai Local Trains : Lifeline, as it is termed for city which is densely crowded ta peak hours. Millions of daily commuters take local trains ride everyday and spend about 3 to 4 hours daily just reach their jobs. Many senior executives do prefer First class compartment of local trains compare to a AC car, I mean seriously YES they do as Mumbai Roads do have a term ‘Traffic Line’. For commuters who are tourists, I would recommend to travel only in non office hours, i.e. between 11:30 and 4:30 to experience low crowd journey. 3 Main Routes that connects every corner of city and its neighbourhoods are Western, Central and Harbour Routes. One more term ‘Suburbs’ is what one listens while talking about these routes. Western and Central are 2 Suburban locations which is referred to Stations and its locations which falls beyond the South Mumbai limits. 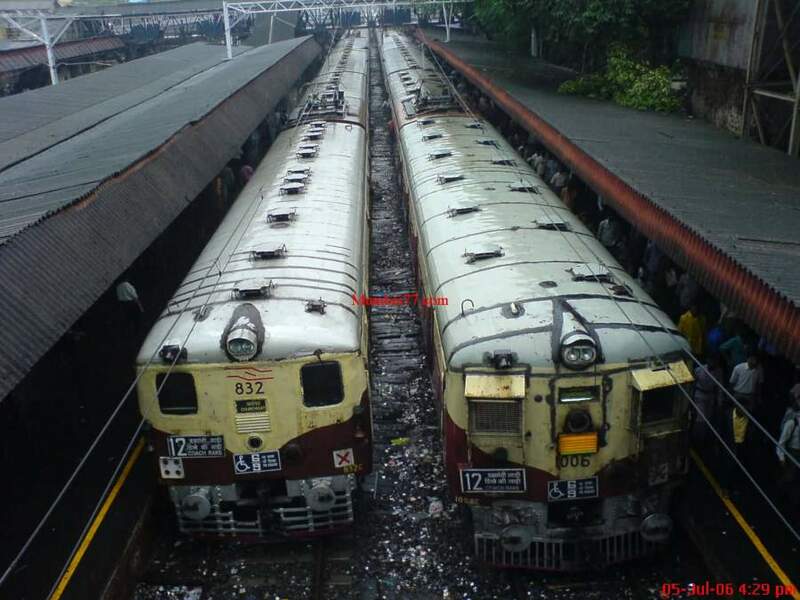 Being one of the cheapest travel option of Mumbai, Trains are faster too and one needs to take out some good time to study these routes, its station names and specially WHEN and WHICH train to catch to reach a specific destination to enjoy your favourite tourist destination on the list. Read more about Local Train Travel, Timetable, Ticket Rates, ATVM Ticketing, Videos etc. before you start your train journey. Related : Railway Map, Station Names, Local Train Fares, ATVM Smart Cards, Western Railway Lost + Found, Central Route Lost + Found. Mumbai Metro : It was 2014, the coolest thing started for all those local trains tired and auto hunting frustrated commuters in city, Myself personally observed and experienced the first day excitement of the very first line 1 of Mumbai metro train ride to get some videos, pictures and information to spread around. Mumbai is no less when it comes to first day and excitement, the chaos is very natural and every person who has travelled by local trains knows what i am talking about. I would highly request metro ride from Railway station to Versova (Andheri) locations to all tourists commuters comparative to taking or i must say HUNTING for an Auto, Paying high charges, More time and Traffic which is not worth it. 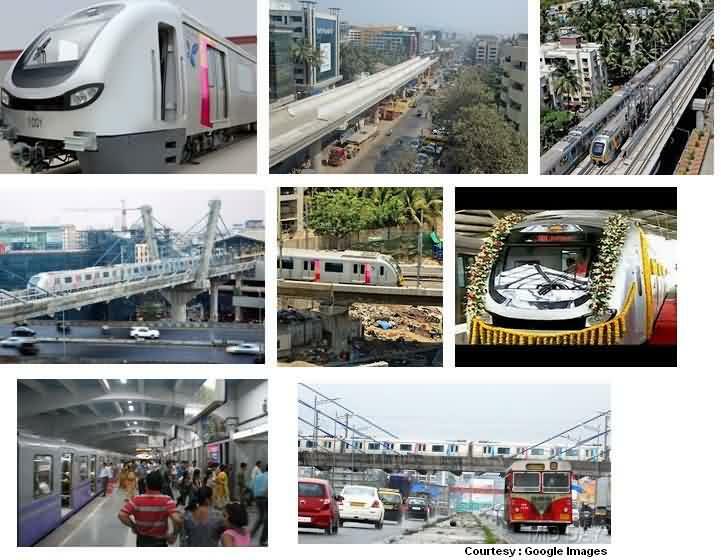 This is the first completed Metro project (Line 1) in Mumbai and many more are lined up which will complete in coming years and few will take about a decade too. It has its own hurdles and real estate challenges which will gradually be solved. My article will guide you with details of fares, timetable, route, pictures and video on that page. This Metro train as of day connects Western Suburb (Andheri) to Central Suburb (Ghatkopar) and is worth a ride to save 2 important things which every other Mumbaikar says they don’t have ‘Time’ & ‘Money’. Those who travels to Seepz and MIDC area of Andheri East location knows what boon is this Metro. Related : Metro Train Lost + Found. 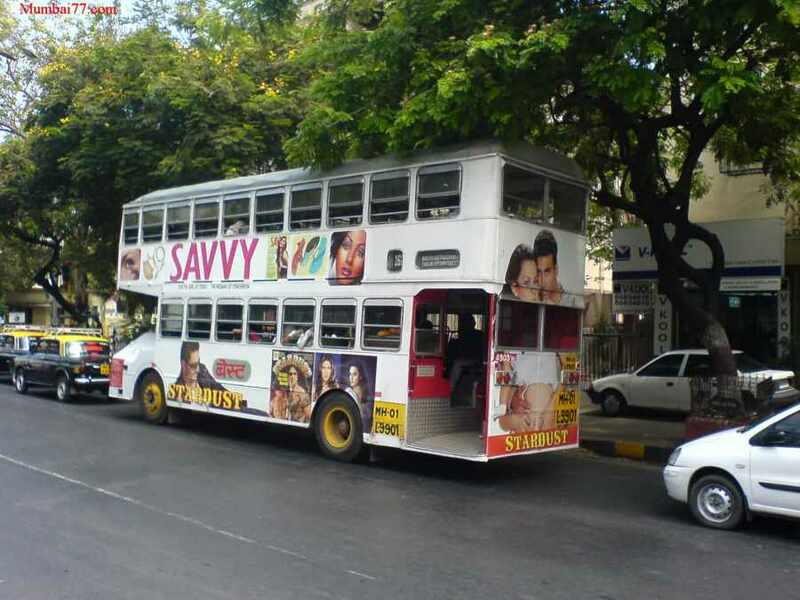 BEST Buses (AC and NON AC) : The second most preferred mode of transport and commute is this BEST buses categorized as Regular Non AC and BRTS AC buses. Second most in the queue from top when it comes crowded public travel vehicle, On the other side it is also a cheap option and many prefers it due to Odd routes and interior village locations of suburbs, which if travelled via Local trains will takes more time. BEST bus routes are well planned and has connectivities at far interior villages of suburbs too. Even under pressure and years of losses, they have decided and have discounted the travel ticket rates by up to 50% to get the business running. Regular buses are in average conditions and AC buses are well maintained which is most preferred by many corporate executives as it helps avoid pollution and travel is smoother comparatively. As said it is one of the best travel option for daily commuters with day and monthly pass facilities available, But for a tourist, i would highly recommend a south Mumbai or better a Suburb ride at least once by (Bus No.202 starting at Mahim Depot to Gorai OR 79 LTD (Now starting from Santacruz Bus Depot West) as it covers many prime locations like Lokhandwala Complex and goes through Link Road) which gives a feel of perfect city bus ride and to observe the real life and market feel of Mumbai. More Travel Related : Bus Fares, BRTS Buses, Mumbai Goa Shivneri Buses, LOST + FOUND articles in bus, Buses from Airport T2, BEST Grievance and Complains, BKC Shuttle Buses, Woman Security in Bus. A 3 seater & a 3 tired vehicle of Mumbai privately owned by individuals and used as public transportation with valid permits and licenses, Rickshaw or commonly called ‘Auto’ are a great ride when roads are less on traffic, no monsoon potholes on the way and also during monsoons when rain halts and gives some cool climate and market view around. Today Auto rides are not as cheaper the travel options like those a decade before, Check on the minimum fares and the subsequent jump of Rs.1.50 per extra kilometre, the fares reaches anywhere to Rs.50 in just 15 minutes ride and one knows about how fast the metres run on road traffic. Another reason few people avoid this vehicle is the pollution commuter needs to face from buses and trucks passing by. But auto has always been in demand and will always be. In short this is a travel option when you are in hurry to reach a destination, missed your bus and don’t want to wait for another or are in hurry to catch your regular fixed local train to reach your job at time. Your luck on the quality of Auto ride you get depends solely on drivers mood, As for them facing hundreds of speed breakers is like already used to bumping rides and so sometimes cares less for speed breakers and those potholes in monsoon. 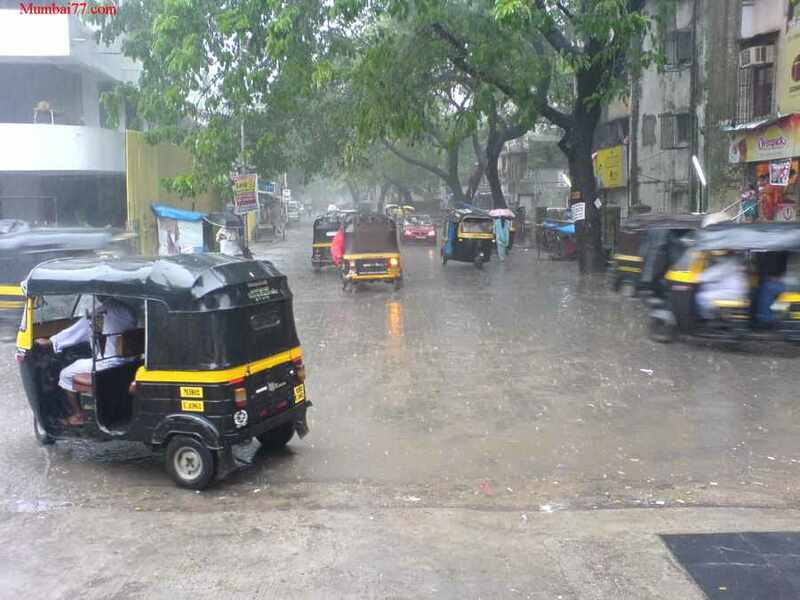 Most drivers riding Mumbai auto uses auto which are rented and pay a fixed amount everyday to the vehicle owners, So caring about the maintenance of vehicle is less the concern which brings up the reason for the rough driving and ride. For first timer tourists in city who wants to travel short distances, i would highly recommend taking and Auto compared to local trains. Mumbai now don’t observe any Meter cheats as digital metres have already made their way and tempering cases are eliminated and no need to checkout fare charts, Still here is auto fares as previously used if you want to have a look. Refusals are still a problem and getting an auto during office hours is still a problem for many (RTO / Mumbai Police are you listening) ‘Kuch Karo Ji’. Like cabs, Their are no indicators on top of Auto’s which indicates about the FOR HIRE or BUSY status of auto and so is the advantage taken by drivers about refusals. Mumbai city has a mixture of Samaritans and few i don’t care attitude drivers, So no conclusions on how good or bad are they. A lot is going on in city about the mess that has been created since a year or 2 about taxi regulations, fare charges fight between Regular Yellow Black taxi v/s App based Fleets and Radio cabs. The ultimate results is the inconvenience that has to be faced by city commuters and tourists who have to take alternative options, change the plans when taxi unions declares strikes (Sometimes with Auto Unions). The fare charges issue, the mobile App factor (Android, iOS) which is actually a convenient thing for commuters is what is is not accepted by regular taxi drivers as it reduces and creates losses. These taxi’s play inside city since decades and have a strong union to oppose any such changes and fluctuations. To cope up with the App based aggregators and competitors, The Regular yellow black taxi app 9211 has already been planned. But last many months now, no news about the status of this App commuting options has been out, So need to wait and watch. People are ready to pay higher charges to taxi as no auto options are available in South Mumbai (Mahim to Churchgate Area). So when regular Black and Yellow taxi’s are on strike, You have to catch local trains or Buses or might have to call up for a App based fleet paying higher charges which is not affordable to every citizen. Bonus to that few Private Radio Cab owners like Uber cabs have charged 50 to 100 percent high charges when other public options to travel are on strike. To understand this travel option better and in details with price etc, i have detailed AC and NON AC taxi / radio cabs / fleet details at above link. AC Taxis / Cool cabs are highly recommended to tourists who want to commute pollution free . Related : Re-caliberated Metres, RTO offices, Taxi Fares, Taxi Booking at Airport, Share a txi services, Lost + Found in taxi. Yes, Soon the Go Green travel option will be out as has already been declared that government are planning ‘Rent a Cycle’ as a brand new option to travel short distances within city. This will be amazing if the system and management are strong, cycles are well maintained, No renting hurdles like ID Cards and Deposits etc and renting costs are cheaper. Many repair shops might get a new job and contract if hired for same. City will have less pollution and a happy feel to commute, As one can skip the walker session inside gym saving another 15 minutes. Many citizen have already taken the personal move and riding cycles in early hours of day considering it as part of their fitness regime. Our city roads will be sure less congested when more and more people will realize the benefits and cycling. Many such Cycling groups have boomed in last few years. I will try updating this section with some videos and pictures as soon city observed its first cycle station. So stay tuned with us on GOOGLE+ (Below). See Also : Travel Do and Don’t, Travel Agents, Major travel operators, Woman Travel Safe, Closed Door AC Trains, Upcoming Bullet Trains.